Season 16, League Two winners. Season 17, Cup winners. Season 18, Championship & Cup winners. 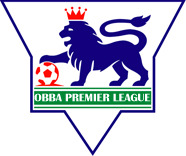 Swampsea made their entry in OBBA when they miraculously managed to sign super star manager DaCoach from the Premiership rivals Newlydeadcastle United. He did not dissapoint: In their first season (16) they won their league. And in the season 17 that followed he helped the team bring home the OBBA Cup. Following up on that in Season 18 was a dream ride of 10 straight wins. Champions and Cup winners. The rest have been Premier survival - fun but not that glamorous. Arch-rivals are the flea-ridden psychos from Jerusalem, that always leaves a lasting mark regardless of the result. A bug-infested swamp that all teams dread to play on. This season Swampsea will need to consolidate, build the required skills and hopefully compete for a promotion spot. Losing most games. Still, with a forfeit and a last round win, they just retain their place in the league. Swampsea have had a great start on their first season in the Championship with five wins out of five possible and five clean sheets to boot, only to lose to Beitar in the final game for the Championship. Still, as fellow Frogs Ribbit Dribblers manages to beat Beitar in the last game, the championship is secured for Swampsea anyway. The first season in Premiership is a world of pain, ending fittingly with 4 rips in the final premiership game and first round of Cup. The team that stormed into the Premiership is no more. Whilst trying to survive and re-build, Swampsea outperforms themselves and looking to return to the Premiership after one season. But is that wise?. Season 21, Premiership. 2/2/3 4th. A terrible season, only scoring 5 TDs in 7 games, Swampsea is helped by 2 forfeits. Late in season they find their game again, only failing to beat the season's champ Watford by pure bad luck. Cup: After a crippling season, the opted to dodge the cup and get a friendly game to recover on instead. A very bumby season, Swampsea beat or drew against the top 3 teams, but struggled vs relegated Bath and Bury'd. Captain Vorm once again proved his importance for the team, collecting 29 spp over the season, making legend as well. Cup: Made it to round 2. A crippling win over Scourgehampton in round 1 meant the elves of Barmbek Bloodletic got an easy win in round 2. Disaster season where nothing worked and all the important players left the team. Especially Captain Vorm was missed. However, late in the season, after relegation was a certainty, the team proved themselves with a magnifcant win over Barmbek Bloodletic and a tie vs the new champs Pro-Russia Dortmund, giving some hope for the future of this team. Season started with a big loss to Barmbek Bloodletic, having no answer to the blodgy elves. Then two close draws given in the last turn of the game, be it human catchers pinned at the sideline by blodge diving tackler and still escaping or a simple 3+ reroll dodge missed. But in game four the team shined, as they managed a win over Torpedo Wigan, with a stellar performance of star player Sibi. Relegation due to Cas difference, as tied with Tyrol on score and TD difference. New Management strategy 'Go big or go home' initiated. This means running with 4 blitzers. First game is a mixed success. 12 spp collected for blitzers, but also an unnecessary loss to Haduk Split. Cup: New Cup format under George's rule inspired by Euro 2016. Does OK with 1 win and 2 draws in group F, but unsure it is enough to qualify as one of the best runner-ups from all groups. But by means of generous gifts to George it is possible afterall, and they lose to Bradfort in first round. Having practiced playing 'league two-style' play all summer, it is a big surprise to be double-promoted. But the lads take the challenge head-on and defeat Celtic in their debut game. And continue in style vs Bury'd. Then reality hits, and while only losing 1 game of the season, the many draws spells another season in the Championship. Jefferson Montero takes home the Golden Tackler award, causing an impressive 14 casualties in the 9 games of season 26. Cup: Made it to the second round. Another surprise promotion, the frogs are literally star-struck in game one as they have their asses handed to them getting demolished by last season's champs. After that, they start to show their skill, to the point where they lead the Premiership for a short period after round 5. Game one is haunted by misfortune as first travels and then client bug freeze causes the game to be forfeited as a draw. Game two shows the French apes a thing or two, and game three is a narrow loss to the favorites from Münich, giving promises for the games to come. Then draws, but as long time rivals Watford are beaten in round 8, it looks like premiership survival is secured once more. New league structure means relegation anyway and after an undefeated first leg, the second half is a bloodbath.